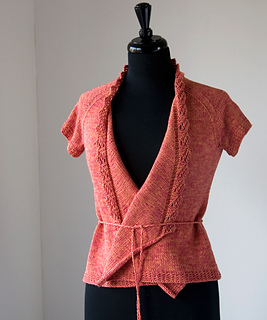 A pretty wrap-front cardigan with raglan shaping and easy lace edging, perfect for warm weather knitting. 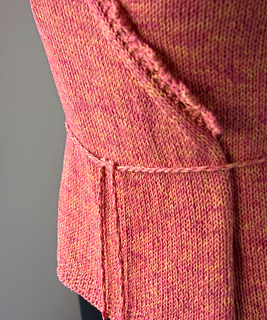 Wrap it closely and tied at the waist for a fitted look, or gather and pin the fronts with your favourite shawl pin. And you can wear it open and casual. 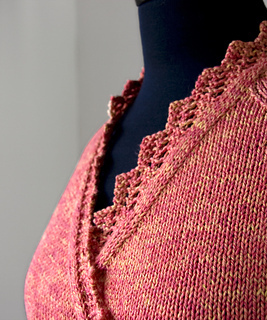 Ladysmith is seamless with knit-in edging for a quick easy knit. 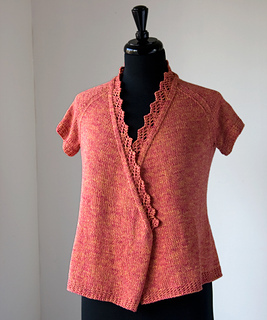 Ladysmith is worked flat on circular needles, except for the sleeves, which are worked in the round on dpn’s (or your preferred method for knitting in the rnd). 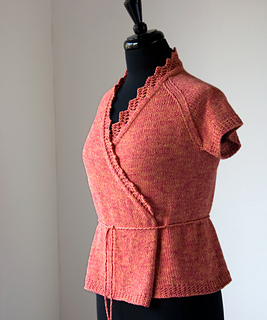 Choose circular needles long enough to accommodate a large number of stitches.